Always think about the two following things BEFORE you create a new entity! 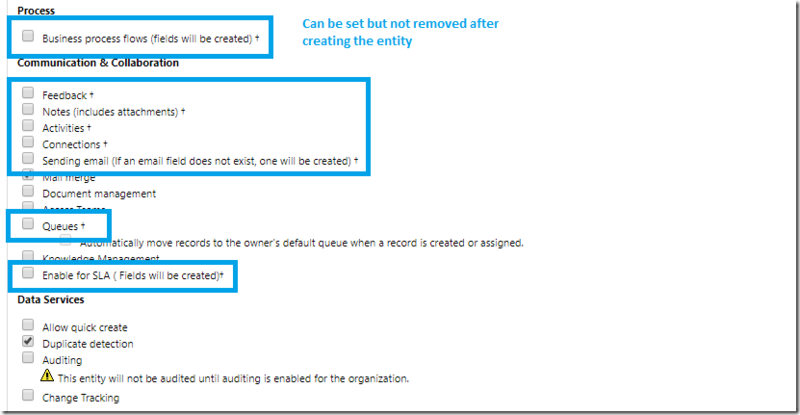 There are 2 options, which you can not change or activate after creating an entity. 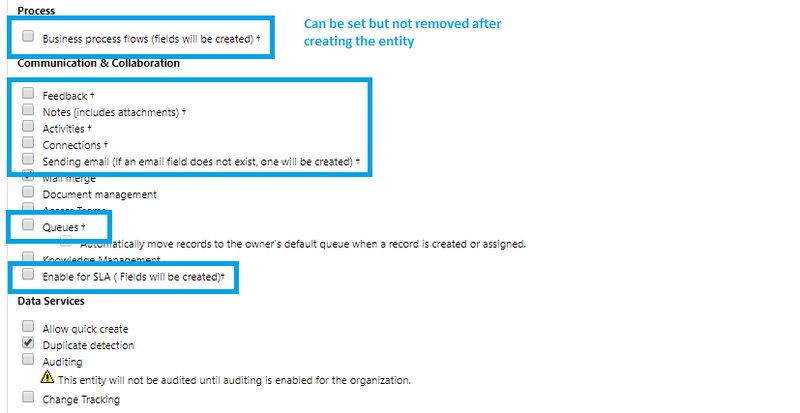 (Marked in purple color) The first one is the ownership, the second one is “Define as an activity entity” which means, the new entity should inherite from the actitiy entity and then can be used per example in the social pane area. If you are creating a new entity from scratch, there are a few options (mostly marked with “†”) which you cannot undo after the entity is saved. (Marked in blue color) But you can still enable them once the entity is saved. So, if you are not sure, weather you need one of this options (per example “Activities”) on your entity, just leave the checkbox blank! You still can enable this options after creating the entity!